In the Borrowed World Series, America is brought to its knees by coordinated terror attacks against the infrastructure. 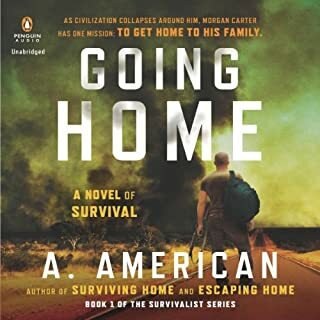 After spending weeks walking across a violent and horrific landscape to reach his family, Jim Powell hoped they could weather this storm on their secluded Appalachian farm. They had prepared for this. They had armed for this. They could live without power and fuel. What happens, though, when the same qualities that drew Jim to his isolated valley begin to attract another armed group looking for a place to hide from the unrest of a starving nation? 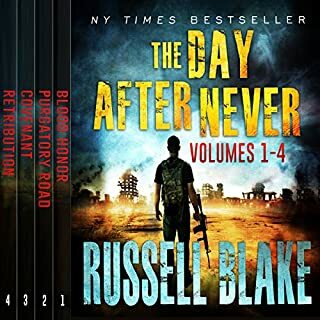 While just a few days have passed since the initial attack, the group finds that its country is quickly descending into a vicious, chaotic landscape where nothing comes easy. While they fight to close the distance between them and their loved ones, they cannot avoid the steadily growing number of people who have realized that they can get away with whatever they want in a world where there are no longer any legal consequences for their actions. It's been around nine long months since the United States spiraled into chaos due to a cascading systems failure. From the recesses of a fractured government comes a plan to restore order and rescue what remains of the population. The first step comes with restoring power. But what if having access to electricity came at such a price that many - like Jim Powell, his friends, and his neighbors - would rather face a future in the dark. In a night of devastating terror, ISIS operatives have unleashed a coordinated attack on America's infrastructure. 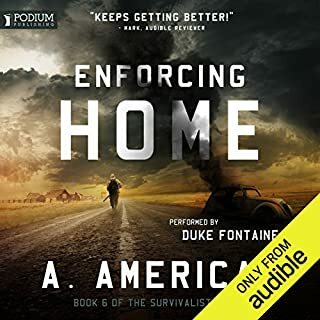 With thousands of trapped travelers and scarce law enforcement, the miles between Jim Powell and his family become a brutal gauntlet where the rules of civilized society no longer apply. 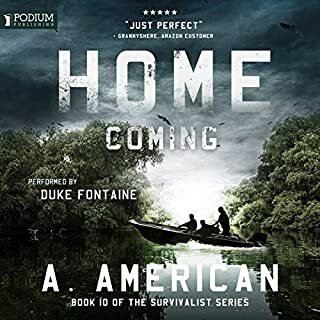 As Jim puts his years of preparation and planning to the test, he is forced to ask himself if he has what it takes to make it home. Does he have the strength - the brutality - required to meet this new world toe-to-toe? 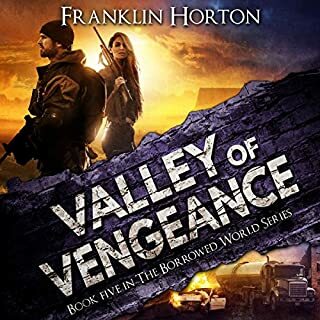 In this fifth installment in The Borrowed World Series, human resources manager Alice Watkins is finally making it home. 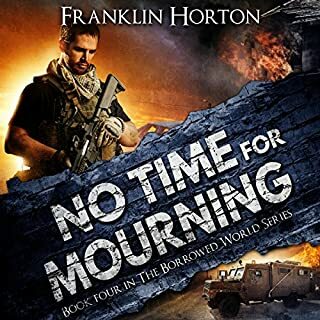 In her journey across Virginia, she experiences a country disintegrating and collapsing in on itself in the wake of a nationwide terror attack. Her trip home is agonizing; her experiences indescribable. 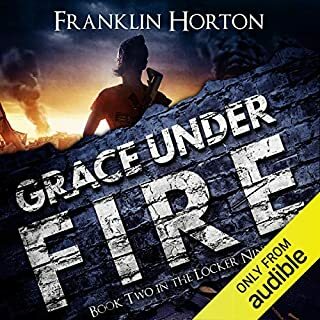 We find Grace taking refuge in a secure compound in the Southern Appalachians. After reuniting with her father, she expected that the remainder of her journey home would be uneventful. Her dad was with her now - things would be okay. She couldn't have been more wrong. Nothing in this new life is easy. 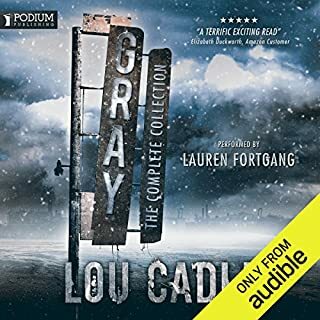 Grace and her friend Tom, a physically-challenged veteran utilizing a specially-outfitted track chair, find themselves suddenly thrown back in the fight. 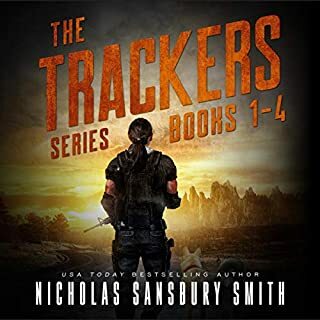 Robert Hardwick and Tom's mother become separated from their children and find themselves under attack from a highly-skilled and heavily-armed force. Most alarming of all, an innocent comment from a child's lips puts the remainder of Grace's family directly in the crosshairs of a violent sociopath. If he is able to carry out his plans, Grace and her father will not have a home, or even a family, to return to. Grace Hardwick's dad is a science fiction writer who makes his living destroying the world. When Grace decides to go away for her first year of college her dad, Robert, can't help but think of all of the potential ways that society could collapse and strand his daughter hundreds of miles from home. Then, near the end of her freshman year, it happens. It’s been a long hard ride for Morgan and everyone. Just when things were starting to look up, the park was attacked, and they lost Bobbie. Danny’s physical wounds were nothing like the emotional loss of Bobbie. It was hard on Mel as well, and the rest of the group also felt the loss. With the attacks on the community becoming a greater threat, they must be dealt with. These attacks must end. But what can the group do against an army with artillery? 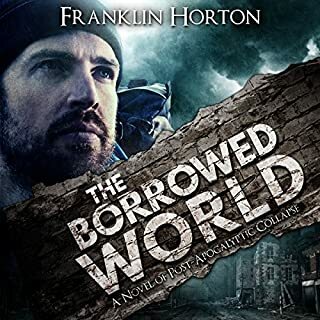 Conor Maguire and his daughter, Barb, planned to weather the apocalypse by keeping to themselves, hidden from the world in their compound deep in the Appalachian Mountains. Their approach failed, allowing bad men to get too close and kidnap Barb. 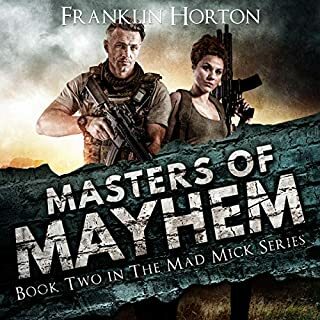 After rescuing her in a violent bloodbath that decimated the kidnappers, Conor realized it was time to enlist his community to work together to improve their security. They had better work fast. 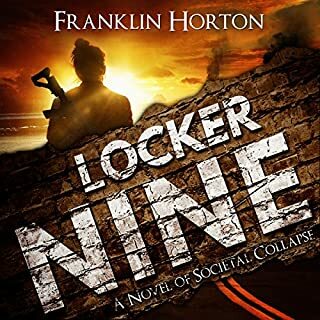 A riveting new post-apocalyptic EMP box set that keeps you guessing until the end! 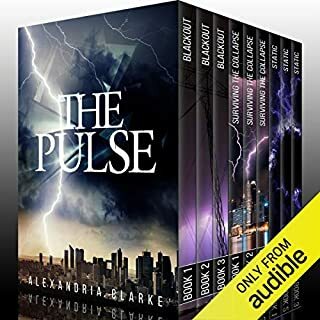 EMP masterminds Alexandria Clarke, author of Black Out, and James Hunt, author of Static and Surviving the Collapse, come together in this super box set for the first time! 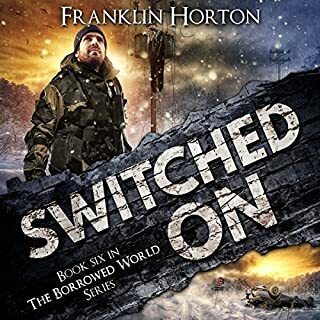 In Blackout, after an EMP bomb detonates over the United States, frying the entire electrical grid, Georgie Fitz decides to take refuge at her estranged father’s cabin in the Rocky Mountains with her boyfriend and his family. The apocalypse was five years ago. Little has changed. There isn't any law, but there used to be. Back then, Lucas Shaw had been a Texas lawman. Now he's just trying to survive. In a kill-or-be-killed wasteland, death is always around. Will today be his last? When a young woman enters his life, he must make an impossible decision: help her in a battle against an adversary who'll stop at nothing or keep himself alive. Which will he choose? Captivating, could not put it down. Morgan has managed to get through a lot. Having made it back to his family and dealt with the issues of unscrupulous neighbors, he then had to deal with the presence of the federal government and their nefarious activities. But with the help of his close-knit group he prevailed. Life is settling into a familiar routine. And with the help of the US Army, they are starting to rebuild their community. But just when Morgan thinks things are assuming some kind of normal, another surprise lands in his lap. Not much doing in this one. If society collapsed, could you survive? When Morgan Carter's car breaks down 250 miles from his home, he figures his weekend plans are ruined. But things are about to get much, much worse: the country's power grid has collapsed. There is no electricity, no running water, no Internet, and no way to know when normalcy will be restored - if it ever will be. Pre-med student Coral is on vacation in Idaho when something terrible happens. The black cloud is followed by a wildfire and searing heat that lasts for days. She survives deep in a cave but emerges days later to find the world transformed, with blackened trees, an ash-filled sky, and no living creatures stirring - except for her. So begins her desperate journey to find water and food and other survivors...and the answer to the mystery of what happened. 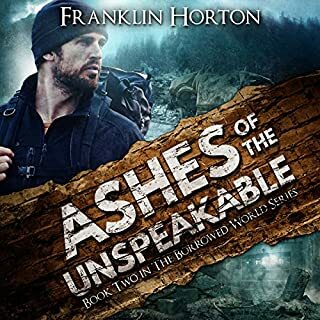 In his best-selling novels, The Borrowed World and Ashes of the Unspeakable, Franklin Horton showed us a nation facing societal collapse from a coordinated ISIS attack on the American infrastructure. Most of the country is without power, communication, and fuel. As a result of the attack, a group of business travelers in Virginia found themselves among the millions stranded on the highways with no idea how they would be getting home. In this third installment, Legion of Despair, the country is teetering on the brink of anarchy. While one of the stranded travelers, Jim Powell, made it home and is working to establish a safe, sustainable enclave for his family, his co-workers Gary and Alice are not faring as well. After spending hundreds of painful miles dreaming of his reunion with his family, Gary arrives home only to find his family under attack. Now he must face the painful decision as to whether his family's plan to bug-in is viable or whether they may need greater numbers and a better location to survive in this collapsing nation. While Gary's homecoming is bittersweet, he has at least found his way into the arms of his family. His co-worker, Alice, has awakened on the cold, concrete floor of a basement in Bluefield, Virginia. She is bound and chained to a support column. She doesn't know if she will ever see her son or husband again. All she knows for certain is that the man in front of her has already brutally killed her friend, Rebecca, and unless she finds a way out, he will kill her, too. I have often thought about that very same scenario because I am a long haul truck driver. I live on the west coast but drive to the east coast every week. This book series has given me a lot more to think about. You won't be disappointed. 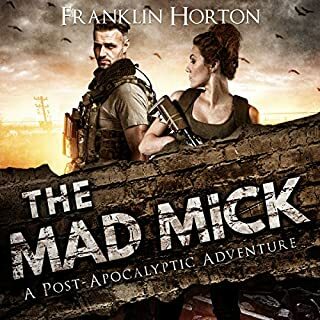 I have touted Horton's talent in several reviews and refer to him as the go to apocalypse (without zombies) writer. This is a good book and is better than the best of others, but I will admit I did not enjoy this book as much as the first two. Part of that is because the main character is Gary, not Jim. Gary is just not as interesting. It also took a long time for me to get invested in this story. The action scenes, just did not seem as intense as in the first two books. 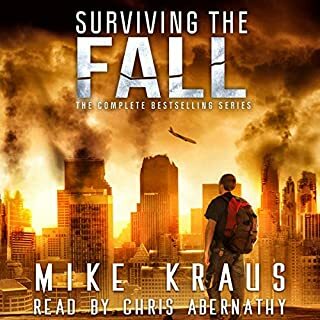 It is still worth four stars and I will continue the series. Horton is political, but no where near as strong as other authors in this field. His political tidbits are few and far between, but they are still there. In previous books, he has belittled those who live in trailer houses. In this book, the trouble makers come from Public Housing and apartments. We are told that all moped drivers are people who lost their license, due to DUI's. Maybe true, I don't know. I found it ironic that we are told only druggies, break into buildings and steal. We are told this as Gary is using a stolen key to break into a building and steal a government owned box truck. In the process, they tare the place up when they steal a fork lift they don't know how to operate. I find this a constant in these books, it is always awful when others break into houses, steal cars, steal food, steal gas, but when the main character does these things, that is Okie Dokie. Pierce has an authoritative voice which demands respect. He is the king of these type of books, because he is the best.. Kept me engaged and wanting more through all three books. Keep up the good work Franklin (and Kevin) ! 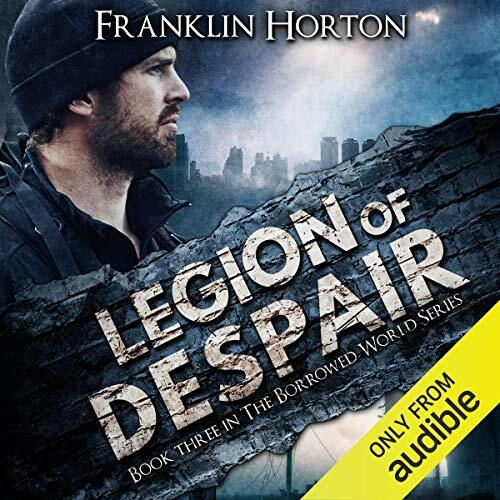 I thoroughly enjoyed the Legion of Despair, I believe it to be entertaining and a fairly accurate description of what life would be like after a collapse event. Top notch series, look forward to more from this author. 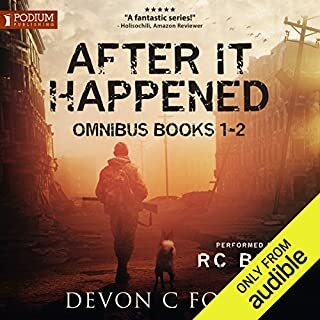 Narration is exceptional and brought the story to life - thank you. Somewhere along the line you get hooked into waiting to find out what is going to happen next. I think this would be pretty much true to life (hope we never have to find out.) Characters are believable and events take a progression that seems logical. In the middle of all this is a great story-line of regular people trying to survive the impossible. Regardless of how much you think you are prepared for the end of modern day world, would you really be? No electricity, food getting harder to find and people wanting to take away what you have including killing you for it. Each character has their own story and their own family. This is continuation of a business meeting gone bad, the journey home and then fighting for your life once you get there. Would you be willing to kill for your family when push comes to shove? These people have to. Definitely getting the next one. Had me so engaged, couldn't stop listening. well written... should be made into a movie! At times I thought narrator might've represented characters differently than I thought they should've, a little less enthusiastic and more brooding & somber would've been my take. But, incredible story!